The 02 (aka Millennium Dome) has been a place that's special to me and heels. Way, waaaay back, I had my first all-day - daylight excursion in a soft wedge heel from Nine West. Myself and Mrs Freddy went to an exhibition she was keen to see, and I figured it was far enough away for me to have a modest heel on all day. Not sure where it's written up but I suspect it'll be around Feb/March 2008 at HHp. On the day we arrived in broad (bright) daylight, had to queue amongst a lot of other visitors and security staff to get in, and had lunch/dinner out while there too. Long day. 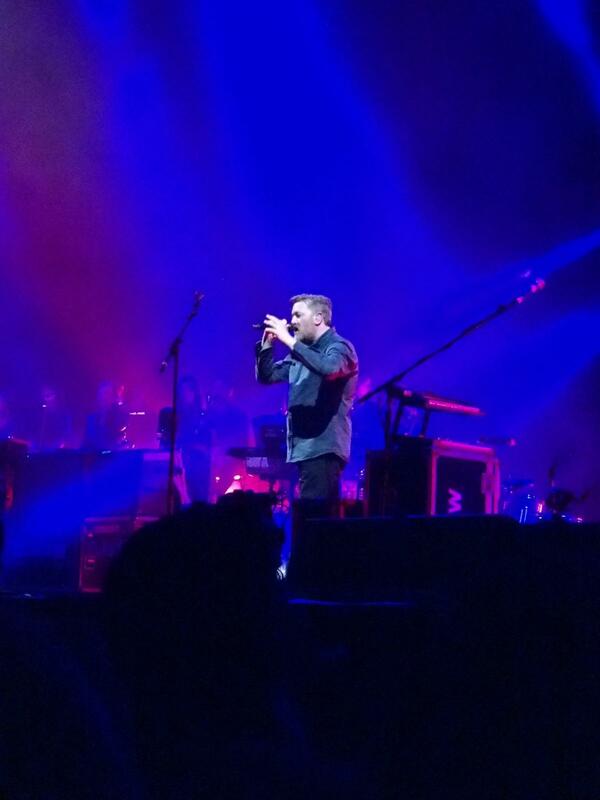 More recently, in December 2012, I did the O2 in an almost 5" block heel when we went to see Elbow. There was The Outing in Summer 2013, when I wore a 4½" stiletto court heel to see Ludovico Einaudi at the Barbican, London. Then the Outing II (The Sequel) in Autumn 2013 when we finally got to see Wicked, at the Apollo Victoria, me in a fairly high ankle boot. I have been hoping something would come along that would throw a challenge at me, and surprise-surprise, something has. This morning, Mrs Freddy discovered one of her favoured bands -Elbow- is touring again. Almost too late for her to book tickets, she managed to get what they call "floor standing" at the O2. Not bad considering tickets for the (one night) gig went on sale in October 2013 - apparently.... We will be standing amongst 5-600 others in an open arena immediately in front of the band. The best/closest views will be in the scrum closest the stage. With the experiences of the previous outings, we are going to arrive during the afternoon. If we are delayed by 2 hours, we won't be anything like as stressed as we have been in the past through delays or hiccups. Also, getting there early should ensure we are parked fairly close to the exit - unlike when we had the use of the VIP car park last time. Close to the venue, but just about as far from the exit as it was possible to get! The challenge (for me) then, is 1: wear heels all day, and 2: include 3+ hours standing still while the support act and main act are on. As all of you heel wearers will know, standing still in a heel for any length of time produces just about as painful a experience as wearing a heel can have. There is no respite. I remember a night 30 or so years ago, I went to a fashion show with my then girlfriend, dressed with a pair of white stiletto heels very visible to everyone. The 'eclectic' fashion show started around 90 minutes late, and we'd already waited for a while before the show was supposed to start. My feet -literally- felt like someone had driven nails into them. But I not only didn't complain about the pain, but made a point of (emotionally) enjoying it. The reason being, I had not been able to socialise in a mixed group (men/women) wearing a heel very much before, and I expected to do it even less afterward. (Boy George wouldn't be part of popular culture for long after all.) So the pain was made to be part of the derived pleasure from the evening. Even now, I remember vividly the 'torture' my feet endured that evening, just standing still. At the moment I have NO IDEA what I should put on my feet. Mrs Freddy has already declared it's flats for her. I've recently acquired some shoe boots (bootees) with a 5 inch heel I'd like to wear, but standing for 2-3 hours in those would just be unrealistic. A slim/slender heel will be inappropriate too, given we'll be walking around for a couple of hours in the retail and food areas, before the arena doors open. I'll just have to find some shoes with a padded footbed with moderate heel. Whatever happens, I would be very disappointed to go in flats. I've got a little more than two weeks to work out what I'm wearing on the night. The event came and went, and was a moderate success. The journey to the venue started perhaps an hour to 90 minutes late due to me and my newly acquired allotment skills. [aka digging.] We still had 3 hours for a 1 hour journey though. 15 miles into our 40 mile journey, traffic slowed, with a broken down vehicle stuck on the middle lane of a motorway. We were the last car to squeeze past before the police shut all 3 carriageways while they moved the vehicle. Less than 10 miles later, more slow traffic, and a bent van about to be abandoned in the middle lane of a 3 lane carriageway. A third escape? Be minded this was a sunny/clear day. Visibility and road traction both at 100%. The last hiccup was the long slow queue into the Blackwall Tunnel. The O2 is at the other end, so it's the route of choice. We arrived around 6.10pm, the journey having taken twice the time it should have. It left us plenty of time for getting to the gig, but not enough time to queue for food then sit down to eat - we found walking around the venue. Consequently, we bought a sandwich and drink each that we ate back at the car some 300 yards away. So off we went, on the initial 300 yard walk back to the O2 in daylight, with me wearing an almost 5" heel. Once inside, the lower light levels and higher noise levels drew some comfort. The entrance to our nominated gate was as far around the dome as we could walk. This was a fairly pleasant experience, but for one or two people who thought it a good idea to move at speed against the main bulk of pedestrians going in the opposite direction. We walked into the gig as the warm up act were getting warmed up. Moving down the side of the small circle of music enthusiasts, we managed to get a spot fairly close to the stage, and about 100 yards closer than our last visit. [This place is huge!] I walked back to one of several bars, and queued for 15 minutes to buy herself a drink. In keeping with my minimal fluid intake regime, I went without. The walking was good, the queueing - not so good. The main band, Elbow, arrived at 8.50pm and my feet had been practically motionless for most of the last hour save the walk to the bar. The set must have lasted for 2 hours. My feet weren't happy standing still for so long, but they were uncomfortable rather than painful. A good result I thought. After a rousing finale, the band left, and it was time for us to go too. Hanging around for a few minutes allowed us to use the short-cut out of the venue, when the curtains next to the stage were opened and a 50 yard walk found us at the front door. Having made use of the VIP car park last time, we knew it was best to park in the main car park and close to the exit, which we had. Once at the car, we left in (literally) a couple of minutes. Using the VIP car park saw us taking an hour to get out on a previous visit. Once on the road we used the same route home we had used to get to the O2, fearing roadworks on the M11/M25 would delay us. As we turned off the A406 to swing Northward, we just missed joining a line of static traffic queueing on the road we were leaving. Probably another prang, but at least this one was in the dark? The journey home took a little over an hour. So quick was the return journey, we arrived back still buzzing from the gig. Though we passed 3 opportunities to get properly stuck in traffic on the way in (with Mrs Freddy saying; "We just can't manage traffic in London can we?") Then once on the return drive, both journeys were pretty much stress free, certainly compared to the other outings anyway. The gig was good, and Elbow come highly recommended. They play their own instruments, write their own songs, and provide a reasonable amount of audience participation.